Planning a long journey? Whether we’re crossing the country for work or pleasure, when faced with a long-distance drive, many of us will try and get it done as quickly as possible. But when it comes to driving long distances, it pays to take regular breaks. Tiredness kills. In Australia the Transport Accident Commission (TAC) estimates that although 30% of road traffic deaths are due to driver fatigue, many people still push through and travel for well over the recommended 2-hours. As the beautiful scenery wizzes past the windows on some of Australia’s longest yet most scenic routes, many road users simply don’t take the opportunity to stop, rest and take it in. To raise awareness of the dangers of tiredness at the wheel TAC launched Breakpoint, a strategic campaign which combined traditional advertising with digital marketing to encourage drivers to stop for a moment and take a break on their long journeys. 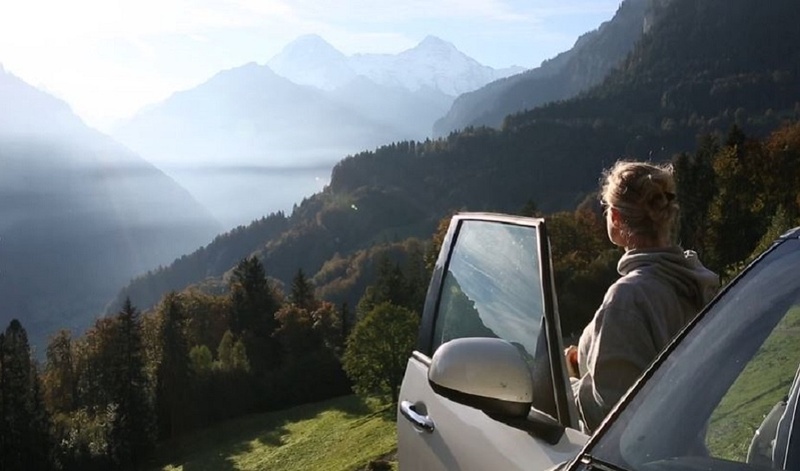 The campaign had to offer something more appealing than the convenience of a service station to encourage people to rest – and subsequently extend their journey time – by showing them something worth stopping for. The government-owned organisation identified the most travelled, high-risk routes in the country using traffic data and then searched social media for breath-taking images of the stunning landscape that matched those areas. The best images then became roadside billboards, directing drivers to the location where each photograph was taken. The billboards featured encouraging messages like ‘Revive your Instagram here’ and ‘Take a break. Capture this’ to persuade road users to pull in. 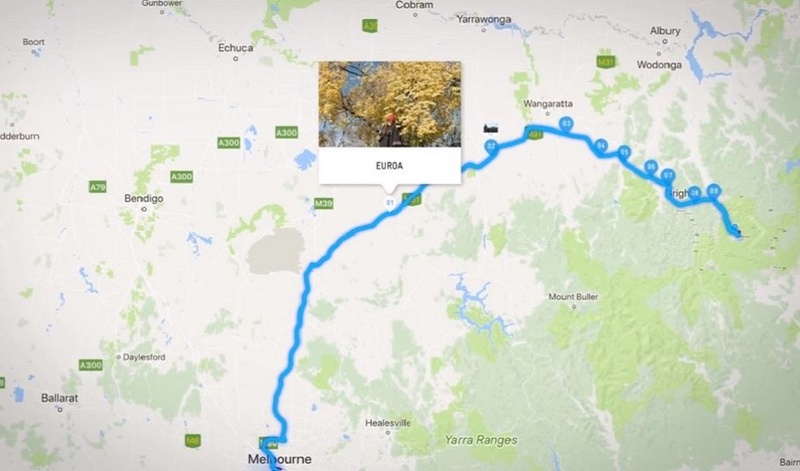 An online tool was also created that allowed people to map their trips according to the breakpoints along the way and save them to google maps. TAC also amplified the campaign online with dedicated social media content and encouraged people to post their own visual breakpoint discoveries, which helped to build on the campaign and boost its reach. 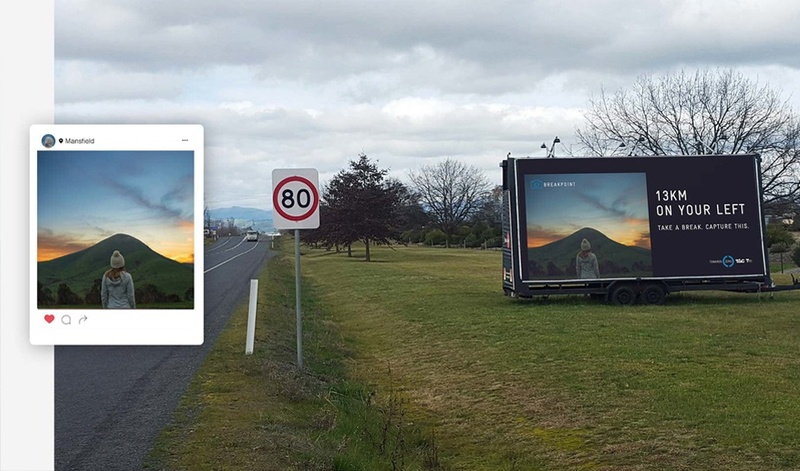 By giving drivers an instaworthy reason to pull over, the billboards successfully caused more people to take a much-needed break resulting in an 83% reduction in fatalities along the routes targeted by the campaign. This isn’t the first time billboards have been used a creative way to tackle an important road issue. In Canada, SAAQ targeted reckless road crossing with a shocking interactive billboard, while BMW’s moving billboard demonstrated the extended stopping distances of cars without the appropriate winter gear.